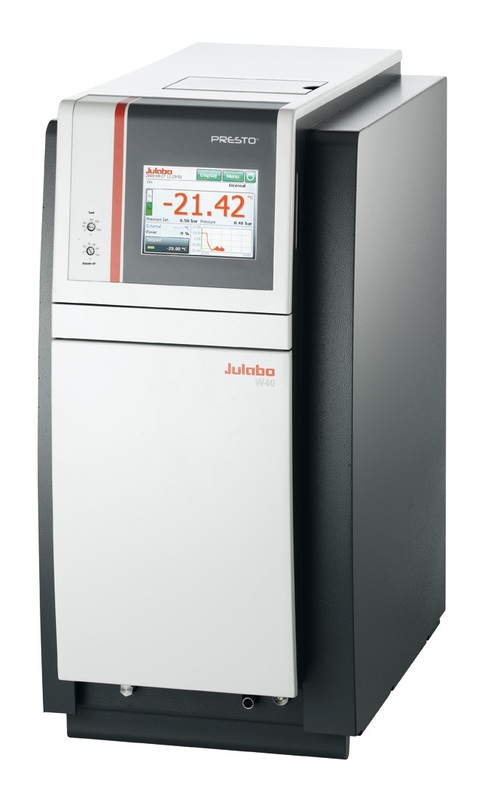 The Julabo PRESTO® highly dynamic temperature control systems are designed for precise temperature control as well as rapid temperature changes, making them ideal for reactor vessels, material stress tests, or temperature simulations. They feature high flow rates, constant pressure and a controlled build-up of pump pressure. 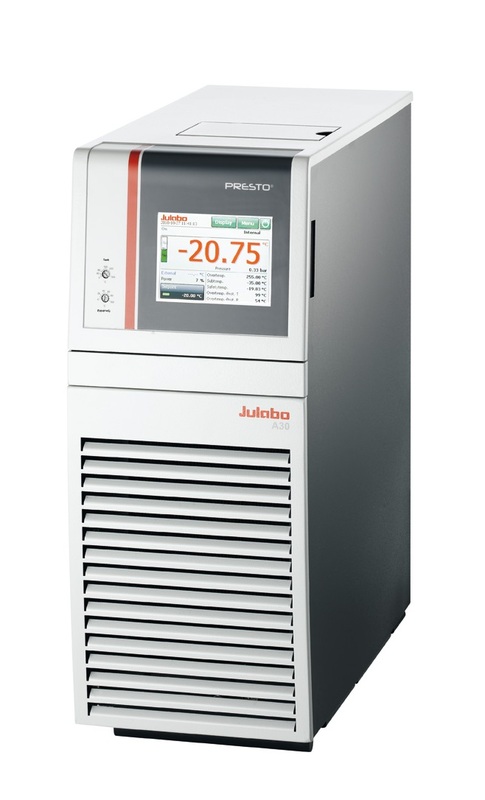 The PRESTO® instruments cover a working temperature of -92 to +250 °C with high cooling and heating capacity. Highly efficient components give these instruments the ability to compensate for exothermic and endothermic reactions with extraordinary speed. Permanent internal monitoring and self-lubricating maintenance free pumps contribute to the new PRESTO®’s long service life. 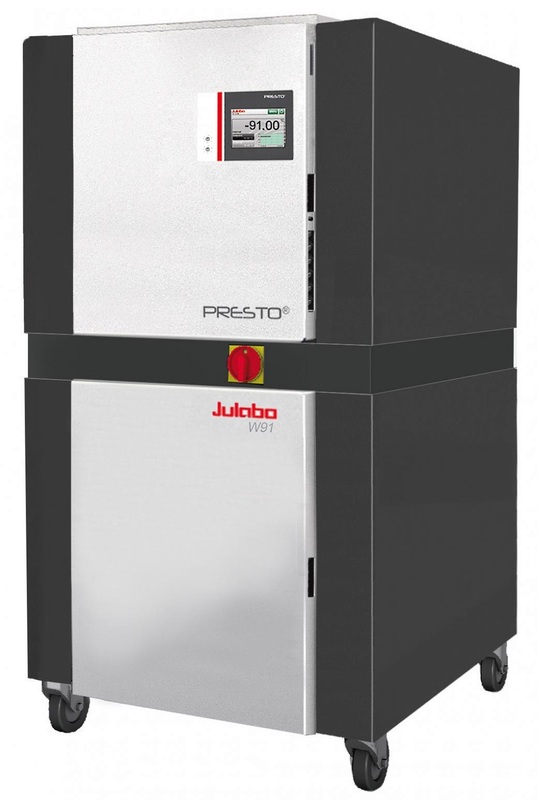 The integrated 5.7-inch color industrial-grade touch panel is one of the identifying characteristics of the new PRESTO® control systems. It gives the user an easy, clear and well-organized view of important information with a modern interface. 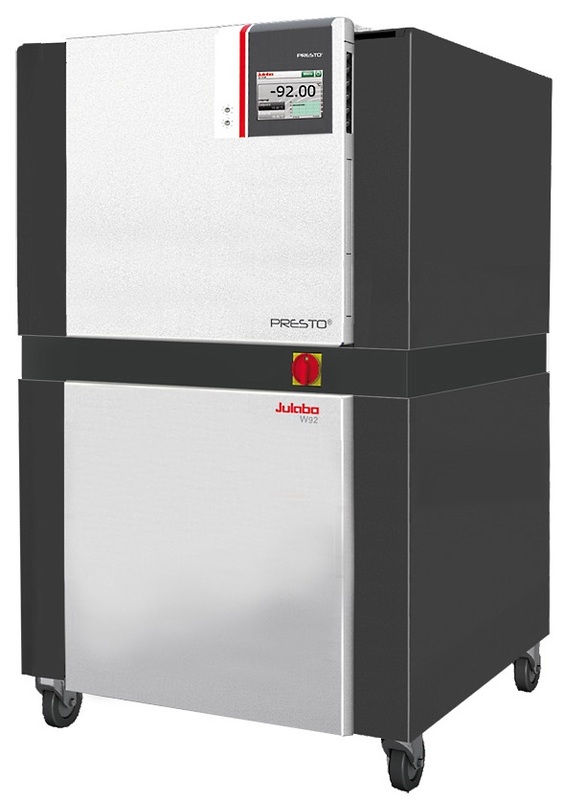 Once in operation, the new PRESTO® control systems are whisper quiet and easy to live with in a laboratory. 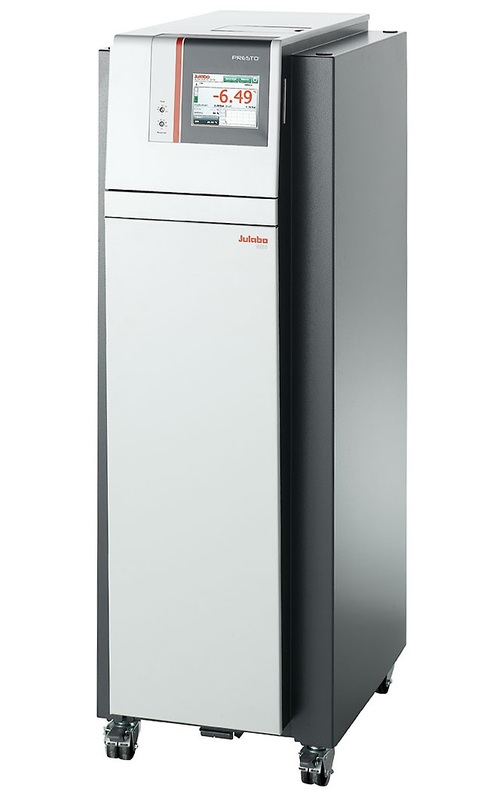 The new systems are extremely robust and work reliably even if the ambient temperature climbs as high as +40 °C. Multiple interfaces permit remote control of the PRESTO® units across networks and in coordinated control systems. 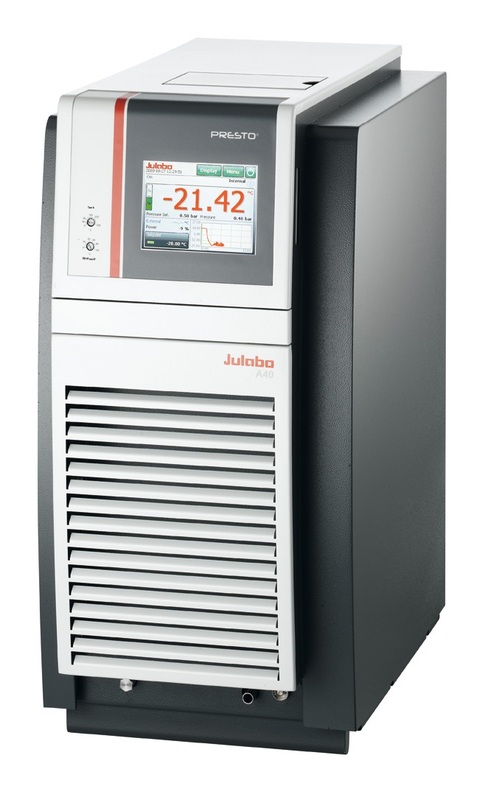 ATC Absolute Temperature Calibration for manual compensation of a temperature difference, 3-point calibration, provides high measuring accuracy. 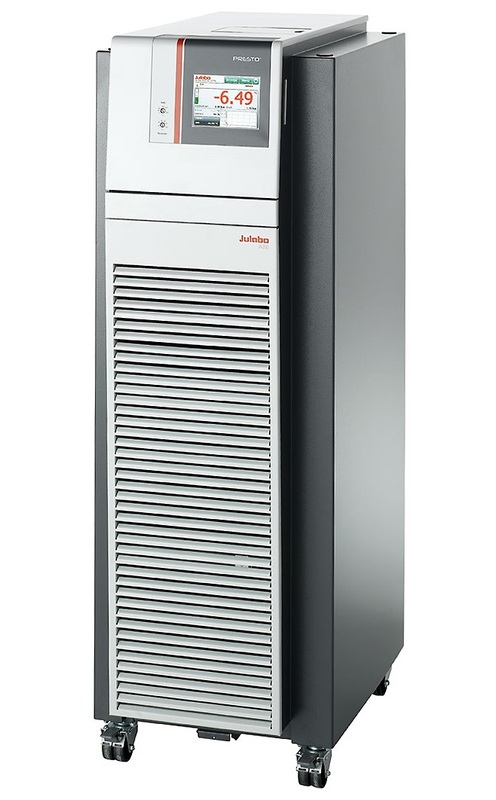 Closed side panels without ventilation slits and all ports in either the front or the back reduce to a minimum the amount of space needed to operate, as units can be placed side by side with other laboratory equipment or furniture.